Embark on a perilous journey amid the roughest and toughest scallywags this side of Adventureland has to offer. 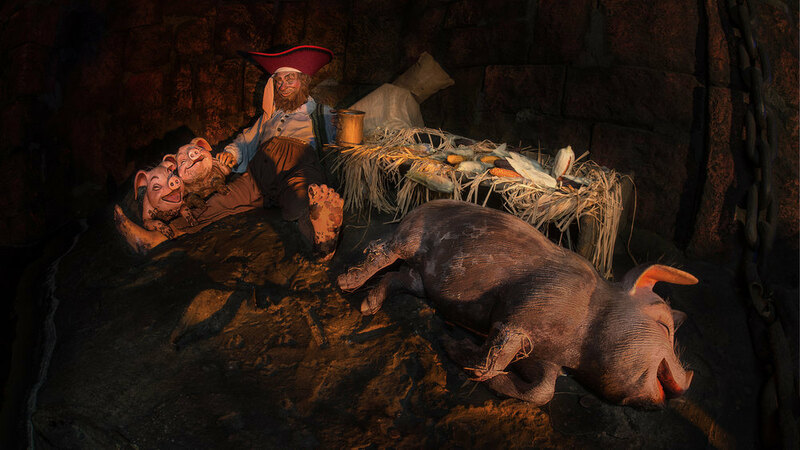 This water powered boat ride will bring you face to face with the great Jack Sparrow and his many pirate pals. Pass by pirate ships, mermaids, and more as you attempt to weather the storm. The Walt Disney World version of the ride was opened on December 15, 1973. It’s slightly shorter than the Disneyland counterpart, but does duplicate most of the ride.